This particular form helps in keeping the track of the basic information about the person who is giving the interview. In this common interview questionnaire form there will be some common questions for the applicants. There can be question like – “tell me about your self? What did you like the most or the least about your previous work experience? What are your goals? Why should I hire you?’’ etc. The reason behind this form and this type of questions are to test the mind set up of the applicants. 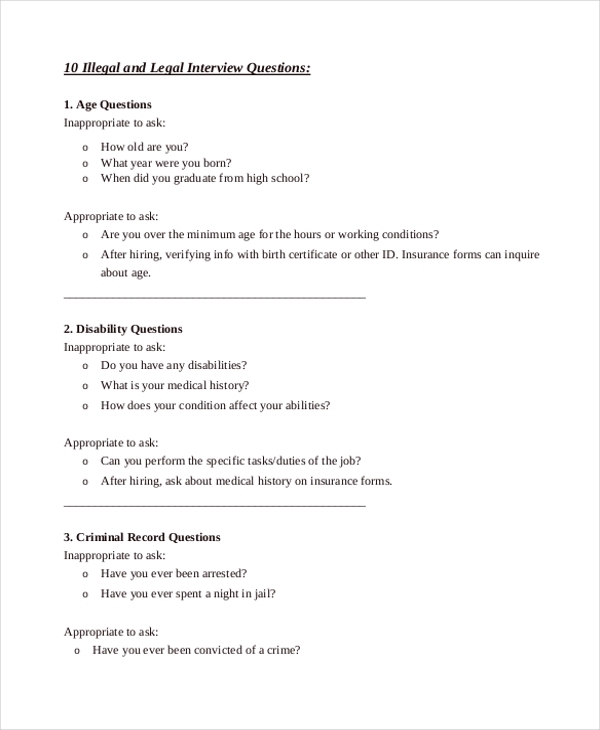 The purpose for this form is to prepare the applicants for the interview because in interview there is a chance to face these kinds of questions. This particular form is used by Navasota Company of Canada. This is the form for person who will give interview for this company. This form has different sections. First there are personal details of the candidates. Second part consists of two types of question sets. In first set there are personal and understanding building questions. For example – “Describe to us what attracted you to this career opportunity? How do you see this role fitting in with your long term career objectives? ‘’. Second set there is job specific questions. For example- “What did you see as your strengths? What did you accomplish? How do you think this job will help you to improve your skills in this area? What are your salary expectations?‘’ etc. Basically this form is a guideline for the applicant who has applied in this company. This particular form is to test the legal background of the candidates. The candidates are required to give all the original details. Any fake details can cause a great penalty for the candidates. The applicants have to fill the question which will be basis on their age, disabilities, criminal record, parental status, marital status, citizenship, national origin, race or skin colour, religion, residence etc. This form is to keep the legal record of the employee of an organization. This form is basically a sample question form. 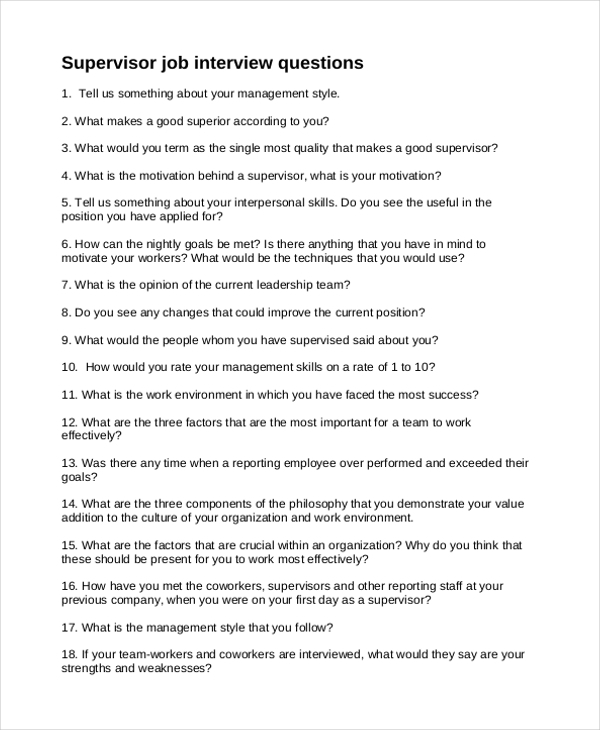 Here possible questions for the interview are given and with that how the candidate should explain the answer that is also given. For example one question is “How will you handle the stress or work pressure?’’ The way out for this question is also given in this form. This form is not to keep any track. This form is simply for the candidates who are applying for job. From this form they will get the basic idea of their coming interview. Every company has a supervisor which is essential. 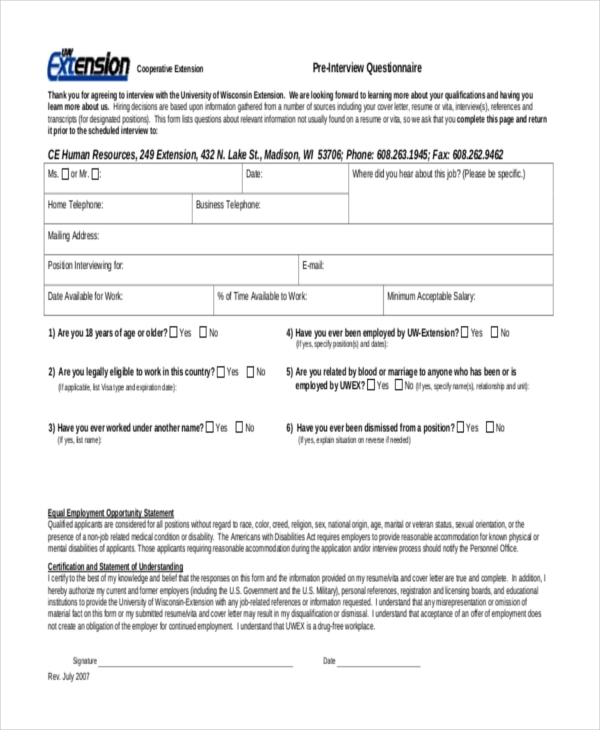 This form is for those candidates who have applied for supervisor position. This form has different types of questions which will be asked by the supervisor during the personal interview round. There can be question like – “what do you consider the most important qualities for a supervisor? Describe your supervisory style? How do you motivate your team members? Tell me about a time an employee made a significant mistake. What action did you take? When evaluating an employee or team member’s performance what factors are most important to you? ‘’ This are the possible questions which have to face by those candidates who are applying for supervisor post in an association. To get the citizenship of any other country you have go under several procedures. One of the processes is with the immigration officer of that country. In that process the officer have to ask several questions to that person who wants that citizenship. In this form there are some question is given which will be asked by the USCIS immigration officers. This form is for those those persons who want admission in secondary school. It is important for the school authority to know all the details about the student who want admission in their reputed school. This form is for that interview where the student has to fill up all the basic and some personal details. Through this form the school authority will get a brief introduction about the student. There can be question like – “what is your name? Where do you live? Why do you want to attend our school? Tell me about an unforgettable experience. Where do you want to travel most? Which book do you like?‘’ etc. This form contains a of lists questions about relevant information of the applicant which is not usually found on a resume. This form has to be filled by the applicant before the personal interview round. At the bottom of this form there is Equal Employment Opportunity Statement and Certification and Statement of Understanding. 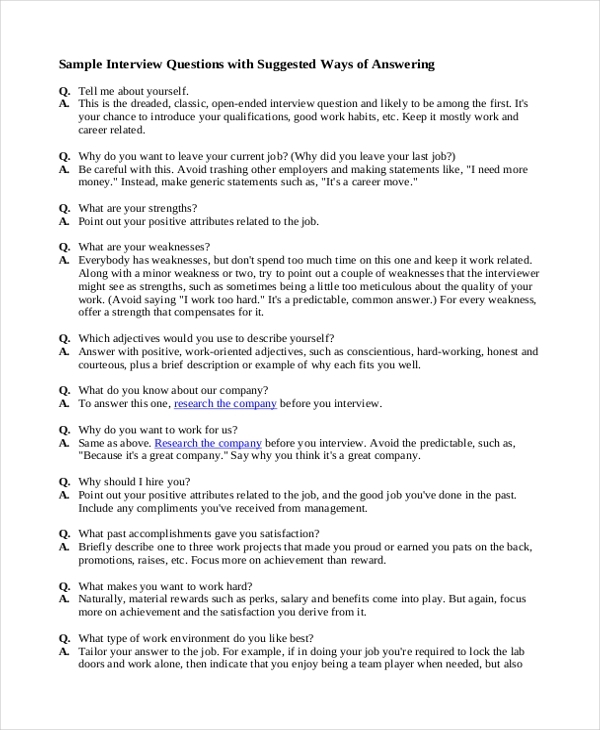 What is Interview Questionnaire Form? Interview questionnaire form is a form which includes every type of basic details of the applicants. It is necessary for all the applicants who will give interview for any organization. 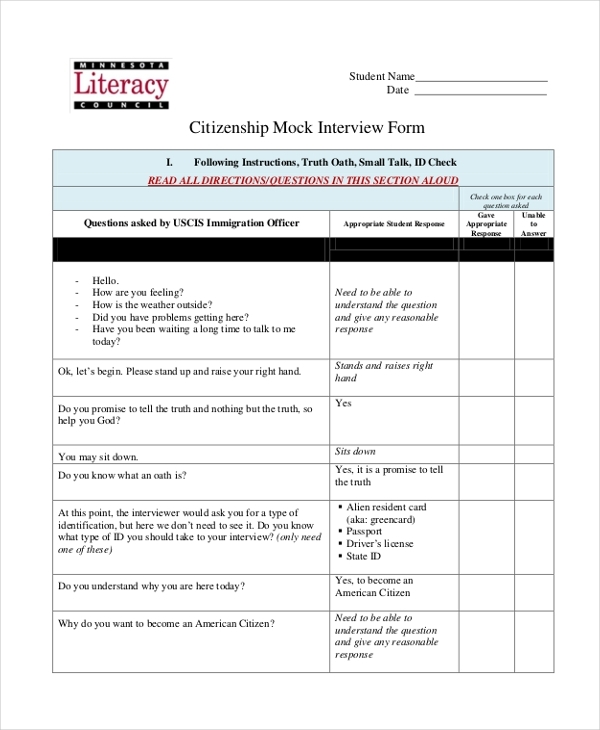 An applicant is bound to fill this form before attending an interview. Through this form the authority of any organization can get a brief introduction about the person who is applying in their organization. 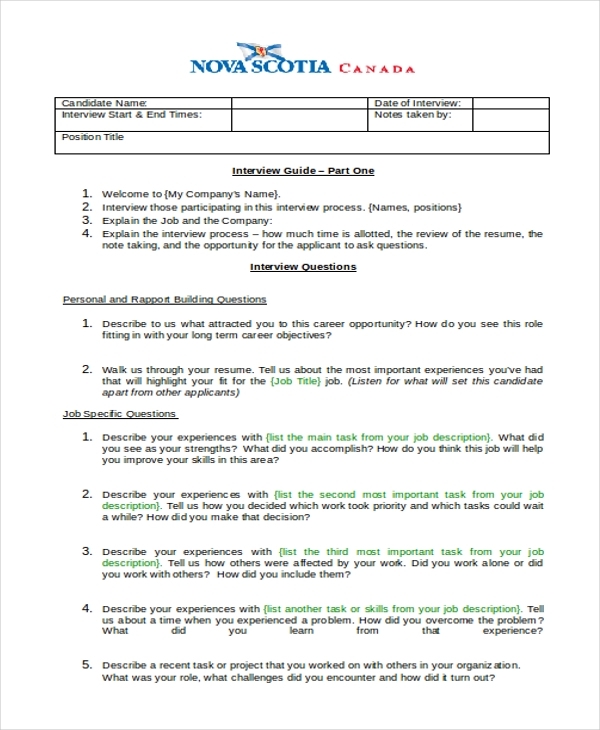 Through this form the applicants can get the idea of their interview round. They can prepare themselves for the interview. It is considered to be the only actual proof- No other document is needed, if this form can be provided while having interview. 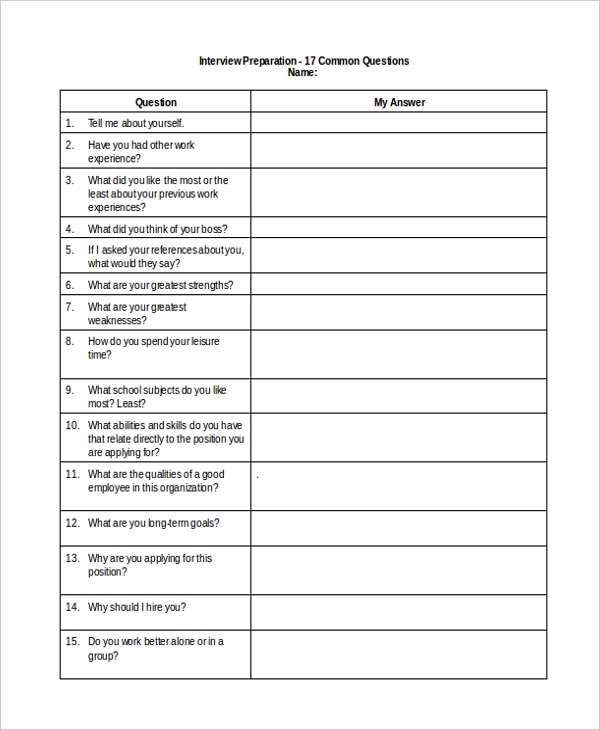 This form is very helpful in every field of interview like whether it for an organization, or for a secondary school, or for the supervisor post of any association. It is essential for all the applicants who will go for an interview. The target audience of this particular form is all the people who want apply in any organization or going to give any interview. There cannot be any such category of people for this particular form. Every person who is going to join any new organization then he or she is bound to fill this form. 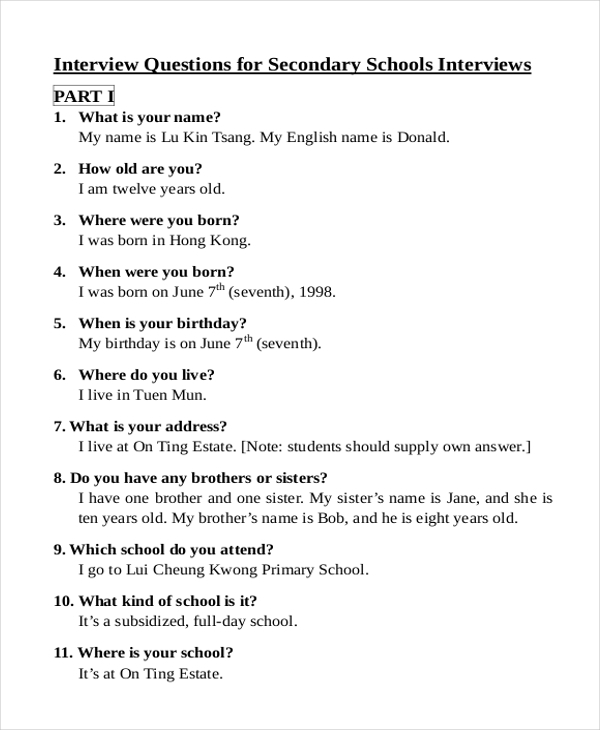 An interview questionnaire form is a type of form which is solely used as a document for the purpose of interview. This particular form is used by more or less every industry before appointing a candidate in their association. All the details regarding the person are filled in this form. This is the only document which serves as a correct and a legal one to get back all the personal details of an employee. Every person who is going for an interview should use this form.